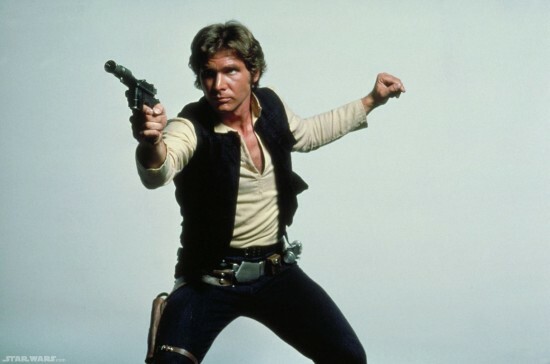 The other day when interviewed by a Chicago reporter from WGN9 at a ceremony for *Michigan Avenue* magazine, Harrison Ford was asked about the rumors of the “old gang” getting back together for the next Star Wars. Ford hesitantly replied, “I think it’s almost true. I think… I’m looking forward to it. It’s not in the bag yet, but I think it’s happening.” When listening to Ford, you can tell there’s more that he knows than he is allowed to say and until all the I’s are dotted and T’s are crossed, he probably isn’t going to be saying more. Ford. Hamill. Fischer. All on screen together again. It really is a Star Wars fan’s dream come true. But that begs the question, what is going to happen in the new films featuring these main characters from the original trilogy? 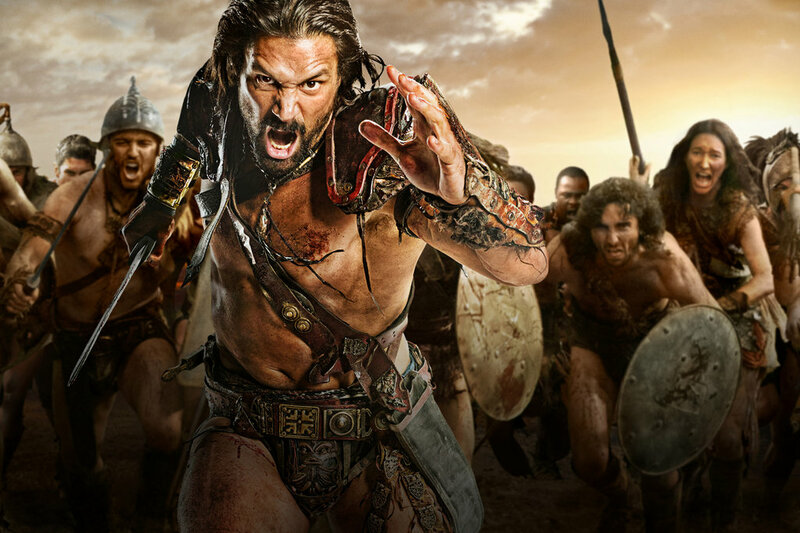 The final season of Spartacus: War of the Damned begins January 25th on Starz. That’s tonight! We left off last season with Spartacus and his merry band of rebels facing the full might of the Roman legion, which are not against pulling shenanigans. The Flickcast: “Be Here Now” is emblazoned on your shirt. Can you talk about why the phrase “Be Here Now” is important to you? Manu Bennett: “Be Here Now” was a tattoo Andy [Whitfield] had on his forearm when he was going through his cancer treatment. There’s a documentary that’s going to be coming out soon. Rather than not being in the know about what happened to Andy, this documentary is for people who are really interested in the show and really fell in love with Andy and I know there’s so many people out there who did. I’m sure Andy would have liked everyone to go and watch this documentary to see what cancer can destroy in this life. Another WonderCon has come and gone. This year was slightly different than any year previous as this was the first time that WonderCon was held in Anaheim, CA and not its typical home of San Francisco. Many people I spoke to enjoyed the change in venue, and liked the added space that the Anaheim Convention center seemed to provide. One of the best things coming away from a comic book convention is the chance to look at pictures of the costumes, ruffle through your free swag, and watch fun videos captured around the convention. Enjoy them all after the jump. You may not know her name, but I bet you have seen one of her videos. Jessica Mill is the star and creator of Awkward Embraces, a web series about three nerdy girls working their way though the dating world of Los Angeles. The series has become popular among the “nerd” culture. Jessica herself has become a “nerd” icon on Twitter and Tumblr due to her frequent posts and nerdy sense of humor. It was at WonderCon 2012 in Anaheim that I talked to Jessica. She reveals the details about three new web series she is working on including Damsels and Dragons. A new web series about a girl LARP (live action role playing) group that she is creating with Greg Aronowitz, designer of The Guild. Watch my full interview with Jessica Mills below. You might not know the name H. Jon Benjamin, though you should, but you have probably heard his voice. The star of the FX animated series Archer has been a staple of primetime and late night animation for years. From Adult Swim to FX and even Fox, Benjamin has been almost anywhere animation is aimed at teens and adults. TheFlickcast recently had the opportunity to hear insights on all things H. Jon Benjamin from the man himself. He discusses the process of Archer as well as the new season, how he is just like Sterling Archer and even the fate of his Comedy Central show. Very little. There is not a lot of room. The scripts are tightly written and he encourages sometimes on occasion, he’ll be like do you want to add anything, and I’ll say no. So it’s not the same kind of production as Bob’s Burgers, which is a lot improvising all the time, but the scripts don’t really require it. Well, the masses are idiots, so they don’t know any better. They’re too busy just staring at the light and cartoons are colorful. So don’t get me started about the masses. I’m really not a fan. This week, JC & WallE get into it with their thoughts on the recent trailer reveals for The Last of Us, Fortnite, Metal Gear Rising: Revengeance, The Amazing Spider-Man and Transformers: Fall of Cybertron. JC also gives his final edition of The Long Grind focusing on The Elder Scrolls: Skyrim. Don’t worry though, the Long Grind will return in 2012 with new epic games to discuss. The Topic of the Week this week is a very special one. A few weeks ago, the Bitcast crew talked about realism in games. This week, JC had the honor of sitting down and talking to a member of the United States Marine Corps who was involved in the conflict at the Battle of Fallujah in late 2004, considered to be one of the harshest battles in modern warfare history. This marine shares his perspective on gaming, movies and television and how it relates to his experiences. We thank this individual for his time, his service and for sharing his experiences with us. For their Now Playing, JC gives some insight in the recent Voltron XBLA release as well as how Christmas shopping reminded him of his time playing Dead Rising while WallE talks Madden 12. The duo even gives some not so subtle hints on what games they wouldn’t mind getting for Christmas. Don’t forget to tune in next week for the Best Games of 2011 show and make sure to follow everyone on Twitter including @theflickcast, @thebitcast, @thejohncarle & @JWWallE. Finally, don’t forget to subscribe to The Bitcast on The Flickcast iTunes feed. Well, here we are, a couple of episodes into the final season of Chuck. I predict this season there will be a lot of Subway sandwiches eaten, a choice Jeffster performance, and a plethora of geeky references. The training wheels are off, as Chuck has lost the intersect and Morgan is the new ace in the hole. The spy in tennis shoes and his team of rogue spies aren’t out for the count yet, though. Read on, as the cast gives some parting words on their super secret missions on the mean streets of Burbank. The Flickast: Chuck’s brother-in-law, Devon, has the nickname “Captain Awesome”. On a scale of 1 to 10, how awesome are you? Ryan McPartlin: 10 being the most awesome? We have to clarify. (TF: Yes, 10 being the most awesome). It depends on what we’re talking about, like I feel I’m a really awesome dad and husband, so I’m a 10 at that area. But, there’s a lot of things that I can’t dedicate my time to that I think I could be really awesome at, like for instance, golf. TF: What does Casey think of teaching the spy tricks of the trade all over again, this time to Morgan? As a fan of the Star Tours attractions on both coasts, I was excited to go to the D23 panel on the making of Star Tours: The Adventures Continue… I crowded into the 1,000+ seat ballroom, not knowing what Imagineer insights awaited me. In true Disney fashion, the panel was a professionally crafted presentation, with no room for questions..errr, I mean error. In this panel, lead Imagineer, Tom Fitzgerald, spoke with the aid of Powerpoint and took us on the journey to bring this attraction into the future. Tom Fitzgerald, began his Star Tours story in 1998 when George Lucas summoned the Imagineer team to his ranch to watch the pod race, and only the pod race. After seeing the infamous scene, the Imagineers decided to wait to see the rest of the film, hoping against hope that it would the pod race would be scrapped for something way cooler. Ok, so Tom said, “In fact, we did think it was a great idea”, but I can read between the lines. Interestingly back in 1998, way before the 3D onslaught, the Imagineers knew the ride was going to be in 3D. Animated programming for adults has been a battle writers and networks have been having for years. Luckily, with the birth of Cartoon Network and Adult Swim, there is a new home for cartoons that kids just may not get. With Adult Swim comes some amazing programming like Sealab 2021, Harvey Birdman, and Venture Bros. Sadly, the former two have since fled the airwaves, but Venture Bros is still going strong. The show has been on break for nearly a year, but on August 28th, our favorite family of adventuring misfits is returning for a special entitled From The Ladle To The Grave: The Story of Shallow Gravy. The special is a faux documentary in the tone of Behind the Music in which Hank’s punk metal band Shallow Gravy and how its mediocre success has effected Brock and the rest of the family. We got the chance to speak with creators Jackson Publick and Doc Hammer about the special and the upcoming next season of Venture Bros. Check out what they had to say and be sure to catch The Venture Bros. special on August 28th, only on Adult Swim.